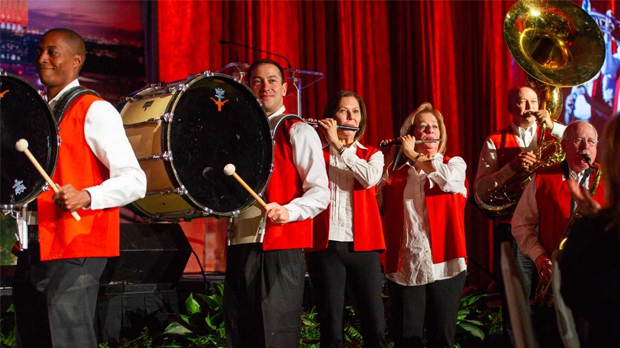 More than 850 supporters of MD Anderson enjoyed a performance of “Texas Fight” by the Longhorn Alumni Band at an event titled “A Conversation With a Living Legend in Houston,” which honored former Sec. 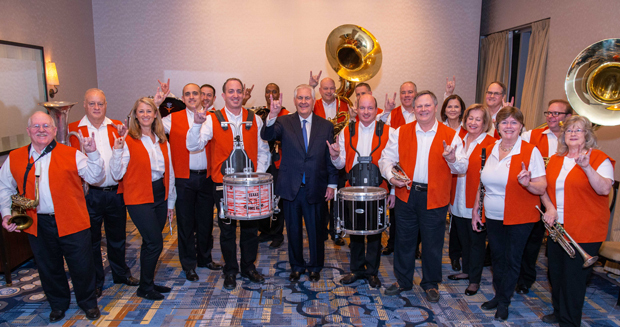 of State and former LHB percussionist Rex Tillerson, BS ’75, Life Member, Distinguished Alumnus. 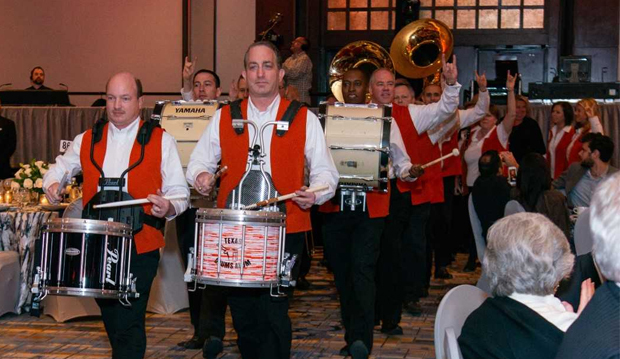 The event raised more than $1.805 million for cancer research and patient care initiatives at The University of Texas MD Anderson Cancer Center.